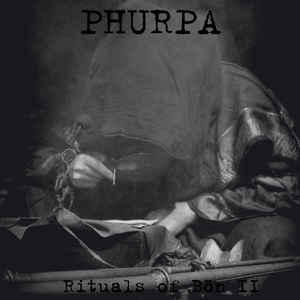 Background/Info: Phurpa strikes back one year after their first chapter of “Rituals Of Bön”. The Russian information is strongly inspired by Bön, which is the oldest Buddhist tradition from Tibet. 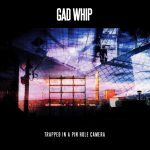 This new opus features 2 new cuts. 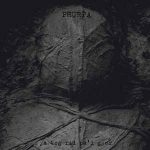 Content: I’m now a bit more familiar with the work of Phurpa, which each album again moves into pure ritual music. The sound becomes meditation, which is accentuated by the constant deep, humming tantric chants. They again accomplish their work by the use of Tibetan instruments, creating this particular and ceremonial sound often played by the monks during their rites. + + + : Each time again I’m surprised by the overwhelming and vibrating chants of Phurpa. It’s a ritual sound featuring a strong visual aspect. With some imagination you can smell the particular odor hanging in the Tibetan temples. The Tantric chants remain a very unique experience, which needs a hard and constant practice. But I also enjoy the great sounds of the Tibetan instruments, which are accentuating the ritual aspect of the music. – – – : My single reproach remains the same for each new Phurpa release. The sound formula remains exactly the same and there’s less diversity between the tracks and the albums. It makes the work predictable and on the long run a little bit monotonous. Conclusion: Two new Phurpa tracks revealing ritual music with an authentic taste! Best songs: “Long Life II”.